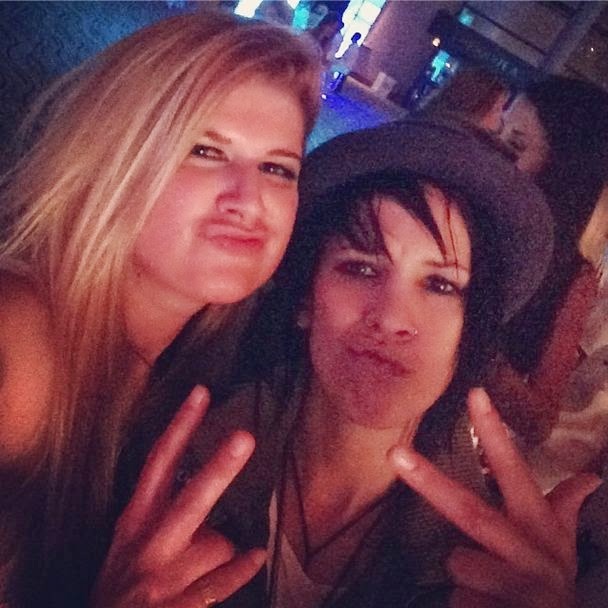 All Things Lesbian: VIDEO: Who's at DINAH SHORE 2014?! VIDEO: Who's at DINAH SHORE 2014?! So you'll probably know that the Dinah Shore Weekend kicked off this week, but who is there? Our very own Bo Sellers (writer here at All Things Lesbian) is there, and she's letting the whole of Dinah - and the Twitterverse - know about it! Yup, that's Bo on the red carpet! She also appears to have managed to get a selfie with Abisha Uhl, of the awesome lesbian band, Sick of Sarah. The Dinah Shore 2014 gang have also sent us this video to share with you. Keep your eyes peeled for the celesbians! NEW Music Video From LESBAND "Seven Mouldy Figs"
ENTER TO WIN: The NEW Single by SIA! Dinah Shore's THE L WORD REUNION Extended!